Business Intelligence and Analytics are at the heart of understanding current Business Performance, determining future Business Strategy and shaping the Transformation to arrive there on forecast. Data Science or Analytics explores trends, in Customer Behaviour, for example, and Insight Exploitation ensures that Insight usage is automated across all functions. B2E Consulting’s offering brings rich, practical experience putting insight at the heart of Business Strategy and emphasises the importance of Change Management to act on this. Bring about organisational culture change through C-Level coaching in the value of Insight or find out how to unleash the wisdom of crowds in your organisation through a distributed Analytical Centre of Excellence, rapid prototyping and cross-functional interaction. Our consultants will bring experience in small and big data architecture, analytical capabilities through Python, R or SAS and BI Story and Visualisation capabilities in the leading tools. How will Data Strategy & Analytics Services help you? A rush to develop a Digital Strategy and support GDPR have led to significant investments in data architecture, data security and data integration. However, despite these investments in joined-up secure data, are businesses deriving valuable insight to influence their processes, product development, customer targeting or overall Business Strategy? Often not – and if not, what was the point? The result is an underutilised asset. How will Data Strategy and Analytics Services help you? Whilst recruiters will hire developers, B2E will audit the current insight creation capability and readiness of the wider organisation to derive optimum value from the data asset. Once determined, we can provide a vision for insight creation and insight usage at your organisation, and develop a tailored strategy of how to get there fastest, at minimal cost. This will include advice on governance, roles, skills, tools, data architecture, insight exploitation as well as coaching for your senior executive on how the organisation should take advantage of it. Service Offerings at B2E Consulting are supported by our community of over 20,000 high calibre, expert consultants, many with Data Strategy & Analytics experience. Our scale means that we are able to build teams of genuine Data Strategy & Analytics experts, usually with more than 10 years relevant experience, to help support client initiatives. We partner closely with the client to deliver quality solutions and value for money. Alex McCallum is the B2E Consulting Principal leading the Business Intelligence (BI), Data Strategy and Analytics service offering. 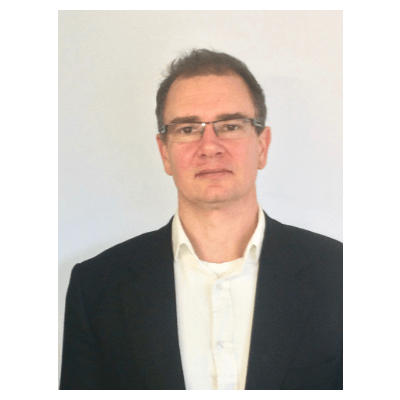 Alex has fifteen years experience in Omnichannel, Cross-Functional Business Intelligence, Data Strategy and Analytics transforming existing capabilities into Centres of Excellence as well as building new capabilities from scratch. Trained in Change Management at Andersen Consulting, Alex can not only produce your strategy, roadmap and deliver, he can also ensure an organisation reaps the benefit by instilling an insight driven culture and informing its business strategy. Experienced coach of CEOs and cross-functional leaders, he can quickly explain how an improve insight capability can shape your transformation or corporate vision for the future.